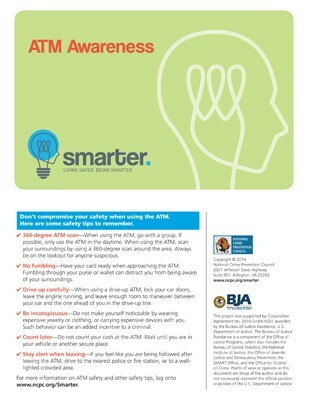 Don’t compromise your safety when using the ATM. Here are some safety tips to remember. 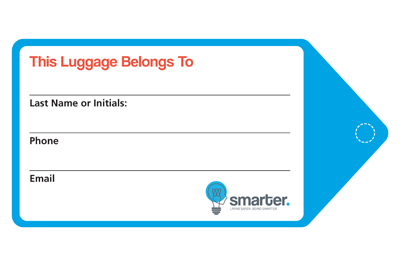 A smarter tag for your luggage—with travel safety quick facts and tips! 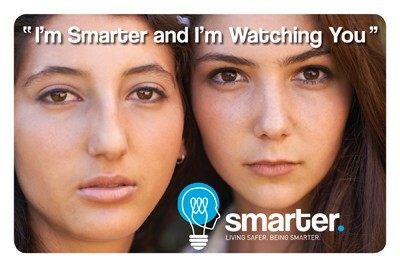 “I’m Smarter and I’m Watching You”—social safety facts on a 6 × 4 inch card. Keep these tips in mind to reduce your chances of becoming the victim of a job scam. Remember that anything you send online never truly gets erased. This workbook will help you plan a service-learning project that prevents crime, reduces the fear of crime, helps victims, or in some way makes your community a better and safer place to live. NCPC has designed this curriculum for col- lege and university professors, tailored to the specific issues that college students and young adults face.